Implants just got easier! That’s great news for all of us with missing teeth. Replacing missing teeth is very important. Why? Because there are serious consequences we can experience due to the lack of dental support caused by the missing tooth. What do I mean? Well, that missing tooth used to be a part of a complex dental support system that affected not only your other teeth but your whole jaw and facial structure. What are some of the consequences of missing teeth? When you lose a tooth, it no longer is there to provide support to surrounding teeth. Those teeth will now naturally start to drift toward that unsupported gap causing misalignment and weakening in their root systems. This makes them more vulnerable to decay, fractures and infections. Also, once you lose a tooth the bone beneath that gap will start losing density. Maintaining healthy bone density in your jaws is not only important for the teeth, but for your whole facial structure since your jawbone is the foundation for this system. 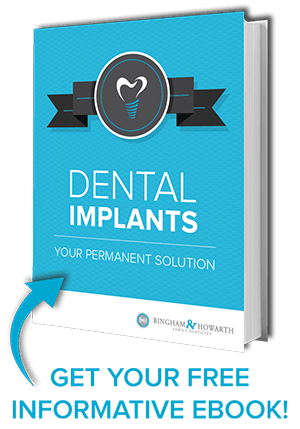 How does Simplant make implant placement easier? Since replacing missing teeth is so important, the team at Bingham&Howarth Family Dentistry wanted to provide a system that would make implant placement easier and more successful. The cutting edge Simplant guided implant surgery is that system. This system allows your implant surgery to be completed “virtually” on a computer before any implant surgery is actually performed. A 3D re-creation of your anatomy is made on a computer. 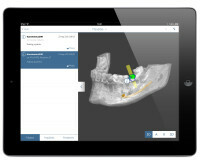 A virtual tooth is created for the missing one and positioned. 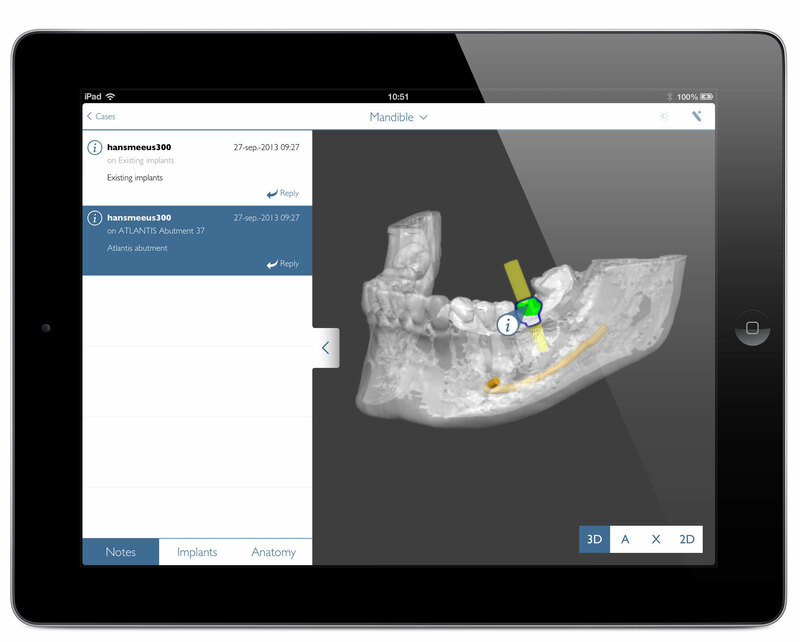 An exact virtual replica of the implant that will be used is then positioned in its ideal location. A precision surgical guide is then made based on this model. This surgical guide, made of acrylic, fits in the mouth like a mouthguard. It has a pre-positioned hole in the exact angle and location that the implant will be placed for perfect placement by our dentists. Why you will love Simplant! Who doesn’t love a job done right the first time; beautifully right! 3D computer imaging lets you see the results even before surgery. The guide allows for precise placement, achieving a beautiful result every time. You can be confident that the precisely placed results of your investment will be long-lasting. We know you probably have more questions about Simplant dental implants and our Tulsa dental team would love to answer them for you. You can contact us or call (918) 481-4925 for a friendly consultation.